Marble or marbled trout is a special form of brown trout that is estimated to be only native to rivers of the Adriatic river system. 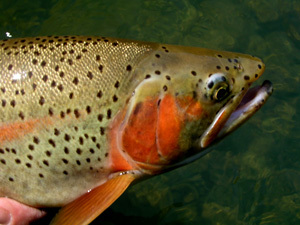 Brown trout is also native in Slovene rivers. There are two different types of Grayling swimming in our rivers. Raibows are also frequent catch in our rivers.